Recently my colleague, Martin Brinkmann, wrote why he was getting rid of streaming services. That’s fine, he’s entitled to do what he wants, and if he doesn’t watch them, then, by all means, save the money. We are not all the same though. Several years ago I got rid of a DirecTV service that was running me around $100 per month. I have not looked back since that day. I filled the gap with TV that totals much less. Martin ran through the numbers, but in the US those are cheaper and we also don’t have the broadcast fee, which makes a big difference. First, I don’t listen to a whole lot of radio, but I occasionally listen to Pandora on Amazon Echo, better known as Alexa. I originally had a paid account, but dropped it years ago, opting to hear the infrequent ads. I have had a Hulu account for years, ever since I cut off DirecTV, it allows me to watch the few major network shows I like. Because they now allow multiple users I added my daughter who graduated college last May and now lives hours from me. In exchange, she added me to her Netflix. It was a fair trade. I watch neither very much, but they have their place on my screen. 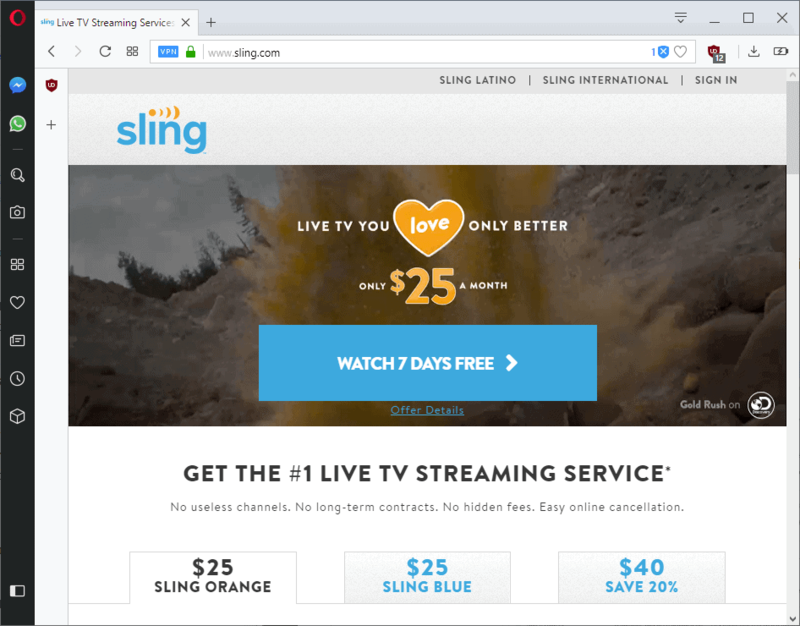 Mostly what I watch is Sling, which is live TV with many channels available. I keep it on most of the day, normally on CNN. It’s background noise. I can hear news, but don’t need to look up most of the time. My estimated cost is $53 per month, plus Amazon Prime which is continuing to go up, perhaps because Bezos is about to owe half his fortune. I don’t watch a lot on it, but the free two day shipping is handy. If it weren't for all of this, my entertainment would now be my dog. So what are your thoughts on all of this. We’d love to know where everyone else stands, so tell us in the comments. Alan explains why he made the decision to keep on using subscription services for entertainment purposes. Thanks Alan for this. I agree that everyone is different and that everyone should do what they like in regards to entertainment services. Most services you mention are not available outside the U.S. I doubt that I would use any of those if they would become available. Very glad I’ve stopped watching the brainwashing box 20 years ago. Probably ten or more years ago I cancelled cable tv as price was up up up & up. Tried Amazon for the 2 day shipping and no minimum and figured the video justified their pricing but can be bored with movies fast. Couldn’t justify the annual amazon fee for free quick shipping. I can always find something I actually need to meet free shipping and seldom if ever actually need 2 or 3 day shipping. Amazon now hardly gets any business from me as many of their good prices disappear without prime. I can usually find best price elsewhere easy enough. Tried Netflix for a few months and became angry when I discovered they charged me sales tax and no tax to my neighbors.. plus I really get bored of trying to justify the fee by forcing myself to watch some movies. I’m not often feeling the need to watch a movie, and if I do I’m not overly particular what it is so much that I can find one free online, even with ads at Hulu through yahoo video is enough for me. No streaming paid services here at all & dont have the need for it. About the only thing I would say I miss is the weekend NASCAR & NHRA racing. But I can see it a week old on YouTube for free. Everyone is different indeed, is entitled to anyway (sheep don’t bother). What bothers me in media subscriptions is the ratio cost/usefulness. Even free my interest for medias, I mean entertaining media, is rather limited, not because i dislike entertainment but because I linger to find originality, novelty in a universe I consider highly conformist, especially in the States (which I love, believe me), where archetypes seems to lead the band. In fact I perceive basic scenario, humor and rhetoric structures too often similar from one entertainment to an other, with very few exceptions. I don’t keep whatever media running in the background all day long even if this reminds me warm feelings of my childhood in the USA (it was already a habit among several of our neighbors but not in our family). I dislike consuming media as if were air (they’re on air by the way!). My policy (maybe tied to education) is to go to TV as we go to the movies : TV Guide, what’s on… great: tonight I’m going to the TV for this program, that film). I use Amazon Prime for their shipping (Prime Videos very rarely has anything I want) and a bit of prime music for Alexa. And I have Netflix for TV shows. But with the Netflix UX getting worse all the time I’m thinking about unsubscribing mainly for that reason. Nonsense, who needs Sling today anyways. It’s not 2010, video on demand are worth paying it not paying to be abused with heavy commercial blocks… tbh after so many years I’m back on torrents and Kori. Invest rather in good VPN. Just use illegal file sharing. Not only it’s free, free of DRM, free of advertising, and free of privacy invasion, but also it’s the moral thing to do to help weaken the evil entertainment business as it stands now. Some content creators are paid largely above what they deserve, the middlemen are paid orders of magnitude even above compared to what they deserve and use their profit to make this planet a digital prison, and the extra you generously gift to this business won’t go to the small content creators and other employees who may be paid less than what they deserve. I think this is a very disingenuous argument. If your goal is to weaken the evil entertainment industry, the moral thing to do is to simply ignore their offerings and encourage everyone else to do so as well. However you feel about piracy, this is not a legitimate moral argument in favor of it. I’d go with the dog. How different people are! I have so many hobbies that it’s hard for me to find time to actually sit down to watch TV or movies. When I have quiet time, I generally prefer recreational reading, as it tends to be much more convenient. I do listen to a lot of music, though. >Recently my colleague, Martin Brinkmann, wrote why he was getting rid of streaming services. I don’t believe Martin said he was getting rid of “streaming services”. In the USA the ‘broadcast’ and/or network/cable TV fare has become extremely inane and distasteful. I don’t consume it and have not for several years. I used to subscribe to Amazon Prime mainly for the so-called ‘free two day shipping’ which included Prime Video. There were very, very few Prime Video offerings I found interesting and rarely watched it. Amazon Prime shipping is not actually ‘free’. The items which qualify for Prime shipping are almost always higher priced to off-set the shipping fee. And I frequently did not receive my item in two days. I received very little benefit from Amazon Prime so I cancelled it. I do have a Netflix subscription and have been a subscriber for several years. There is much less content on Netflix than it would seem at first glance. They are very tricky about how they mix things up in the Categories and if you observe carefully you will notice the same items over and over just rearranged. If you peruse the catalog from a desktop computer through the browser the small selection becomes painfully obvious. Now that Netflix is prioritizing and pushing their own content produced by Netflix the selection is even more limited. I will be cancelling my Netflix. I expect to pay for quality media content. It is only right and fair. Just like a good Tech blog deserves to be rewarded. Unfortunately I envision the media content landscape becoming more fragmented and more costly. I think I will go read a book now. Since where I live includes a cable package I watch a couple channels mostly sports channels (not ESPN) that have hockey and rugby on them in the US. Online watching is primarily various YouTube channels I like rather than streaming services. Re: Hulu – If you’re interested in network programming, all major US networks (ABC, CBS, NBC, Fox) have the latest shows available free on their websites. They’re usually embargoed for a few days to a week and are available for a few weeks after initial airing. They’re also available free on Yahoo View. The networks and PBS also have YouTube channels where you can obtain the evening news free. Why I have a strange feeling this is an sponsored ad “article” for Sling? Agreed. I mentioned this on Martins article and I’ll mention it here. For me, living in the USA, we don’t have a broadcasting fee so that’s money right there that I save. On top of that, I have been a cable-cutter for years, so again, that’s money I save. So to only pay ~$10 a month for Netflix is cheap AF. I also get HBO Go from time to time when they have something I want, then I cancel when there’s nothing I want to watch or I already watched it. So that’s another $15 but only for that month or two and then I cancel it. So considering I’m only paying ~$10 a month (with the occasional HBO Go), I can’t complain. I’m paying so little, I may even get the Disney+ (or whatever they’re calling it) when it comes out in a few months. That’s rumored to only be ~$6 a month. I have downloaded movies days before their IMDb release date,. We split the cost of a 4 feed Netflix account with my sister who lives hundreds of miles away. They’ve loosened up on account sharing so long as your paying for the simultaneous feeds your using. This is for the children, us adults, we don’t really watch TV anymore as the majority of content these days lacks the intelligence it once had many years ago. My significant other and I were just talking today about dropping Netflix because of the price increase with no real benefit. We negotiated it down to just reducing our current package (for now). Beyond that, I have a SiriusXM for the drive to and from work. I do pay for DirecTV for a different reason but that may be soon going out the door. The internet is my main source of entertainment. Whether playing games, talking to friends across the country or just watching my fav YouTubers, there are plenty of free entertainment options. To be honest, anymore there isn’t a reason for me to have many subscription services for entertainment. I’ll either buy movies or go out and watch them if I want to see them. Otherwise, I could do without 90% of subscription services. If you like anime, Crunchyroll TV is a must have and it is available worldwide. Actually, no, it is not. It may be service-related, but it may also be title-related. Smartphones have already become part of the human body, you can’t get rid of them. There is no cure, no surgery. If you haven’t mutated yet, good for you. Try to avoid this virus and steer clear from any infected! People like us are a rare breed, just like survivors in a zombie apocalypse. We can try holding out as long as we want, but at some point we’ll be done for. On a more serious note. It’s not far off from what I said. Smartphones and similar gadgets are part of everyday life and modern culture. Even senile grey-haired politicians (don’t mean THAT person btw) are using them. I’m close to 30 and avoid smartphones, social media and all that other crap. I just hate it all and it doesn’t appeal to me. Then again I’m a pretty antisocial person, so I have no need for this stuff in the first place. When it comes to subscription services I see it similarly. I don’t like them and never subbed to any of them. Back as a teen I really wanted to play an online RPG that required monthly payments, but I never got it. When friends fell victim to WoW and other games I realized how bad it is. Can happen with regular games as well, I know. Today I see monthly games or microtransactions as a waste of money because they could die any time and then all progress is lost forever. Now with stuff like Netflix, Prime and others, it’s different. You basically get access to a library of content that you can use freely for a month (or however long). IMO this is a nice thing and if you can spend enough time on it, you get a lot for your money. Some people binge watch whole series. When I grew up my family rented a lot of movies and games from a video store. Last I remember it cost like €1,30,- a day per media. Compare that to these modern services and you see how much more valuable the new ones are. I still reject them because I don’t like to rent things anymore. If I want something I buy it or “try” it first. Now, you were talking about people wasting their time and such. Thing is, a lot of people use their phones even while watching these video services. They tweet and blog during the movies complaining about how boring it is or that they don’t understand something (low attention span due to phone!). I’ve seen this firsthand with friends. You meet up, there’s a minute of silence and they’ve already got their phone in hand. I think it’s rude, but whatever. From what I’ve observed online I come to think that a lot of people waste a lot of money on pointless things. They subscribe to dozens of services, games and channels on twitch/youtube for example. At the same time they don’t even use most of them or in twitch’s case don’t get anything aside from some dumb emotes and a badge for showing off. But hey, it’s all about supporting who/what you like, right? Finally, the point of life is to enjoy the time you’re given. Whether you die young or of old age, make the best of it. The “point” is to find your own, be it a career, family or simply having fun doing whatever. I have some subscriptions I can totally justify keeping, mainly niche material, recent anime. Most of which is put up (in subtitled form) literally hours (or some weeks for English dubs) after a Japanese broadcast on channels like Crunchyroll, HiDive (has Sentai Filmworks’ titles), FUNimation, and Hulu (which currently hosts longtime licensee Viz releases, along with forthcoming FUNimation material), along with Netflix, which has its own raft of titles as well. Otherwise, cable, satellite and terrestrial broadcast TV has a serious dearth of decent anime titles, showing only the big-name titles which some of us just as soon avoid. Of those that DO make the cut, none of which air with their Japanese soundtracks with subtitles, which many of us serious enthusiasts prefer. As for DVD/BD releases, it takes a good half to full year between license acquisition to release. Since I’m my mother’s caregiver, I can’t very well just drop cable; that’s her entertainment. Though I do have access to it, given the fact I’m living here and have an account set up under hers. All that said, as Martin Brinkmann said in his post before this one, market fragmentation is bad. The fragmentation of the anime streaming market is a microcosm of the greater fragmentation he describes. I guess it all boils down to your interests and what you’re willing to pay to keep them satisfied, along with what you watch on a regular basis.